Tidar Rachmadi, Derry Fahrizal Ulum, Rivaldi Lanti, Adinuansah and Arya Prayoga took a seven-hour road trip from Makassar to Majene in West Sulawesi vv for XL Future Leaders alumni session in Universitas Sulawesi Barat. They travelled through 7 regencies of karst cluster, mountain, small towns, accompanied by sunset view in Parepare coastal road and so much more scenic views of trans-Sulawesi road. But those were just extra bonuses compared to our main goal below. Thursday, September 7th 2017 an event had held in collaboration of XL Future Leaders Alumni for Sulawesi region with Universitas Sulawesi Barat in Majene. 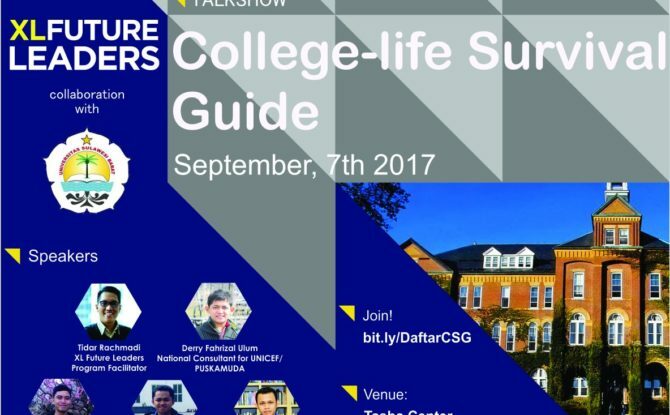 The theme was college-life survival guide, which aims at shaping the college-life image towards university students. There are five basic knowledge shared during the event; individual development plan, networking, social impact, time management and mentorship. Those five things considered as the essential things that university students should know. The event started with words of acknowledgement speech by Tidar Rachmadi representing XL Future Leaders, and then continued by remarks from Mr. Muhammad Nasir Badu, PhD as head of international office of Universitas Sulawesi Barat. Mr. Muhammad Nasir Badu, PhD on his speech stated that he appreciates this event because this could give more perspectives towards students in Universitas Sulawesi Barat related to their personal development and his gratitude to XL Future Leaders program for coming to collaborate. Lastly, he also he hopes that this workshop might be a good start to intensify more comprehensive collaboration in the future. 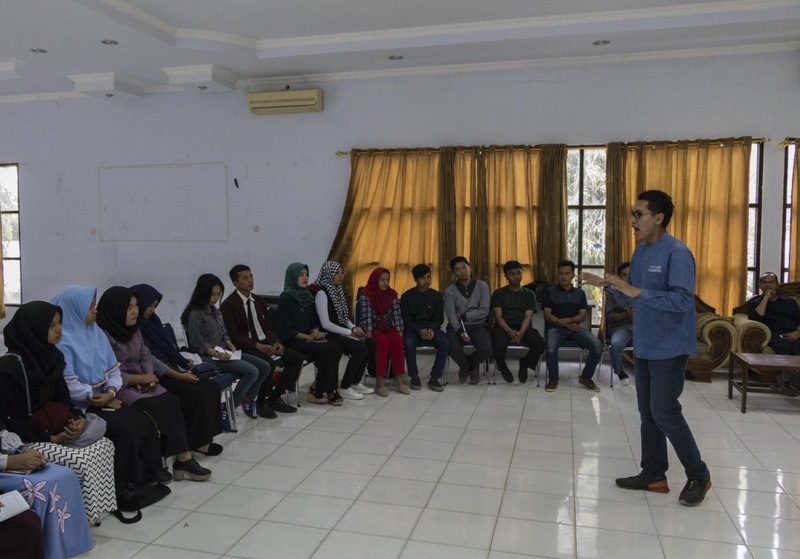 Derry Fahrizal Ulum, XLFL alumni from Jakarta class kicked-off the first session with individual development plan, which continued by rotation session of networking subject by Rivaldi Lanti and creating social impact subject by Adinuansah – both XLFL alumni from Makassar class. 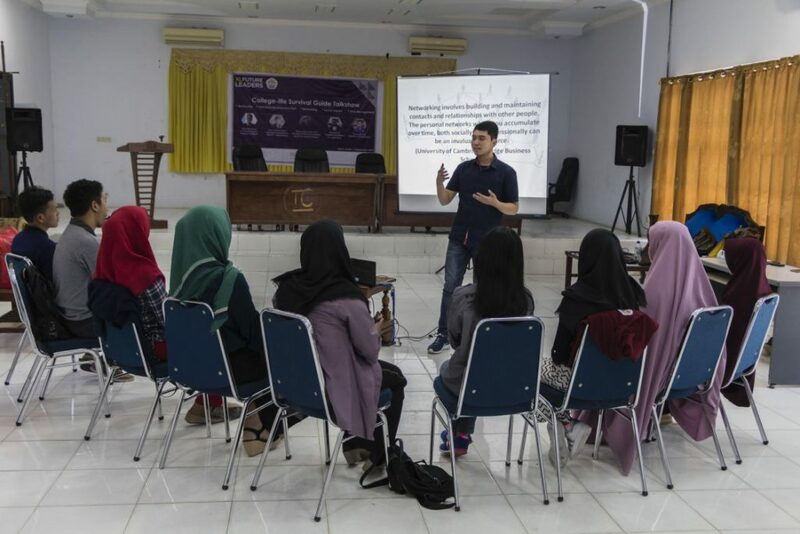 The rotation session means that participants were divided into two groups where Rivaldi and Adinuansah had ready on their corner presenting their subjects. After 45 minutes session, participants in each group should rotate to hear another session This method proven to be more effective due to high participants’ involvement in each session and this allowed the participants to engage closely with the facilitators. There was an interesting thing happened on Tidar’s part, he was planned to talk about mentorship and time management, but it changed to public speaking subject due to participants’ request on their pre-assessment paper. Pre-assessment papers were given to the participants before the event started to identify the participants’ knowledge about the subjects and there was a blank space to fill on what matters they are interested. Most of them wrote public speaking as the skills that they would prefer to know. Change management happened, Tidar decided to change his part with explaining public speaking matters with involving mentorship and time management on the last part. The event finished strongly with public speaking simulation and post assessment paper filling by all participants. XL Future Leaders so grateful to create more impacts in Sulawesi Barat and meet the promising youth in there. This new province has abundant resources to compete with other region in Indonesia, namely the natural resources, breathtaking views for tourism, and most importantly the youngsters as the future leaders.